Ahead of its return tonight on BBC One in the UK, a look back at the past four seasons of Line of Duty is in order, to celebrate the return of what is arguably, it's the best crime show around right now. Fast paced, full of more twists and turns than an airport thriller novel, fans who have seen Bodyguard may have been introduced to Jed Mercurio's work through that spectacular series but if you haven't seen Line of Duty you haven't seen anything yet. It's the British version of The Wire, and is compelling, utterly riveting television that's up there with the best. Welcome to AC-12, a group of police officers whose job it is to stop other police officers from breaking the law. At one point in the series, it's claimed that the easiest way to get away with killing someone is to be a police officer, and one of the main characters, Martin Compston's Steve Arnett, knows that all too well, a man died under his watch and his career suffered as a result. Nobody wants to be in AC-12 when they start out as a police officer and even Arnett is reluctant at first, as they have their own bad rep inside the organisation and are constantly under threat of being closed down by their superiors who don't want them damaging the morale of the police force. Line of Duty is a sensation in the UK and one of the biggest dramas currently airing. The finale to season four drew in 7.5m viewers in the UK alone, a million more than the episode that aired the previous week at 6.6m. It's a number only set to grow for Season Five, especially with the award-winning Bodyguard and the easy access of Line of Duty - both available on Netflix and on BBC IPlayer, encouraging those who are not already caught up to do so. It rewards audiences attention from the get go, as we're thrust into the compelling politics of the police that leads to the investigation of one of their own, DCI Tony Gates, played by Lennie James. 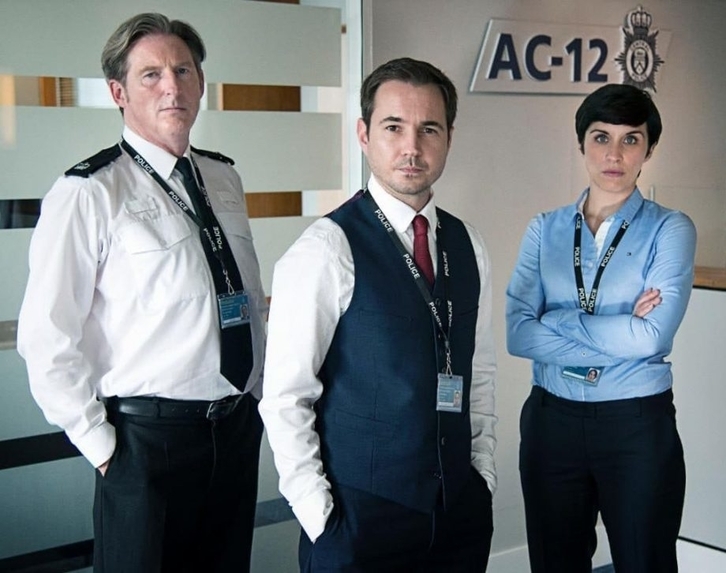 Arnett's fellow officers at AC-12 are his superior, the pragmatic Superintendent Ted Hastings (Adrian Dunbar) and joined by both undercover specialist DC Kate Fleming (Vicky McClure), assigned in the first season as a mole in Gates' station, and they're also joined by DS Matthew Cottan (Craig Parkinson). Every cast member is talented and their characters are flawed and complex and it shows. Everybody is human and makes mistakes and if you want a show where your characters are perfect and make perfect decisions all the time, Line of Duty is not that show. It's very much unafraid to get its hands dirty tackling complicated subject matters that mainstream police procedurals often shy away from, and a mainstream police procedural this is not. A new case is tackled every season which occupies the length of six-episodes, but its serialised structure means that there are always threads, leftovers from the previous season picked up going forward as things are never quite as what they appear, and season five, judging from its trailer, looks to be the most exciting season thus so far as the integrity of one of AC-12 could be called into question. Each season, there's a main antagonist (often too well developed to be a one-dimensional villain) in store that AC-12 has to face and the show often pulls out all the stops with the casting. Lennie James was one of the best things about season one as he found his character blackmailed into a corner against his will, and Bodyguard's Keeley Hawes joins Line of Duty in Season Two as a DI who is the sole survivor of an ambush on a police convoy escorting a civilian under a witness protection scheme. Westworld's Thandie Newton joins in season four as the brilliant DCI Roseanne Huntley, and the show ups its game as a result of this casting the fourth season being the best one to date. But despite season four being the best to date there is no bad season, as it just starts out good and only gets better as it goes on. The twists put audiences on edge from the get go and there are some big ones that really will leave you absolutely stunned. They never feel too outlandish and Jed Mercurio is able to find a way to incorporate them into the scripts so that they never feel completely random or done primarily for shock value, often happening when you least expect them. It's more of a natural progression that remains one of the series' biggest draws, as you will rarely guess what's going to happen next and soon you'll be speculating as to the identity of certain characters and whether they are who they say they are just like the rest of us. The series is perfect for fans of smart, complex police dramas that pull their punches. Fans of the likes of Happy Valley, The Wire, Bodyguard and Spiral will find itself right at home here. It's a very quick binge given the short season structure that most of BBC series have to offer, and once you're hooked, it will be hard to stop watching. And soon, you'll be ending interviews by loudly proclaiming "INTERVIEW TERMINATED" and demanding to be questioned by an officer at least one rank superior.